Meet at the Capitol and Help Get the Big Money Out of Politics! 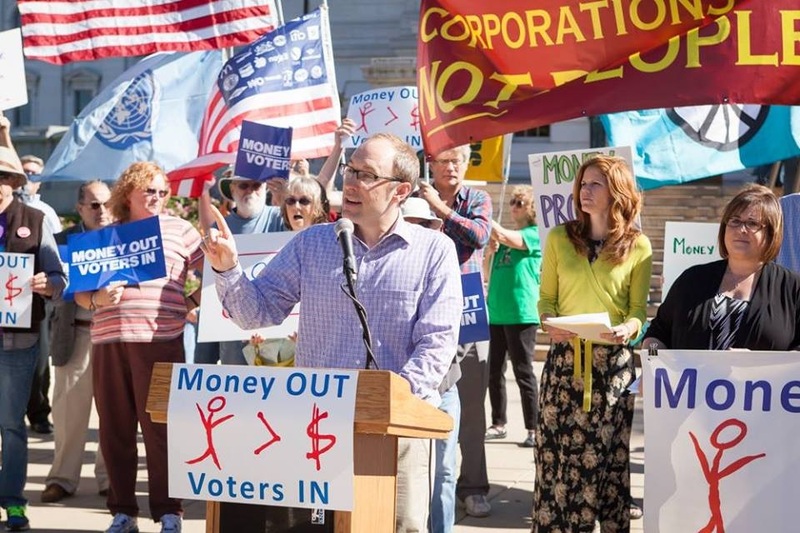 Citizens across the State of Wisconsin want to get big money (especially big dark money) out of politics, but the state Legislature continues to ignore widespread and overwhelming calls for a Constitutional amendment to fix the problem. This is an opportunity to show them how serious we are about reclaiming our democracy. Rep. Lisa Subeck has introduced Assembly Joint Resolution 8, calling for a statewide referendum to determine citizen opinion on whether Wisconsin should support the “We the People” Amendment to overturn the Supreme Court’s disastrous Citizens United decision. The Assembly leadership hasn’t scheduled an official hearing on it, so Rep. Subeck has arranged an informal one for 10 AM to noon on Thursday, January 21 (significantly the 6th anniversary of Citizens United). It’ll be in the North Hearing Room on the 2nd floor of the State Capitol. The first speakers would be Rep. Subeck and Sen. Dave Hansen, who has introduced the companion Senate Joint Resolution 12. Then there’d be some notable public figures. Then comes the citizen portion. We really want a good turnout from outside the Madison area, which will otherwise be well represented. Nobody would be expected to speak for very long — a minute or so at most — but we’d like a lot of them. Ideally, after the hearing is over, each of them would visit the offices of their own representatives and senators and deliver the same message in person — to the elected official in person if possible, to a staff member if not.